Fountain not included. Use your fountain outside! Fits the 34" & 44" Sephra commercial chocolate fountains. Plexiglass sneezeguard. FREE GROUND SHIPPING! 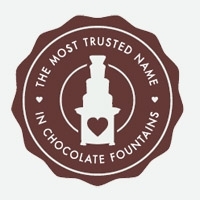 Fits both the 34" Montezuma and 44" Sephra commercial chocolate fountains.